460mm Gold Plated Rope Style Chain. 24 inch Large Gold tone Rope Neck Chain. 610mm length popular Rope design Chains. 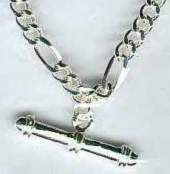 Silver tone finish 24inch FIGARO neck chain with T Bar. Wide Figaro fashion chains in 610mm length. Silver plated SNAKE style Fine Necklace Chain. Long length 24 inch (610mm) Snake Chain. Heavy 24 inch large Gold plt FIGARO design Neck Chain. Gold bonded finish heavy Figaro Chains. 24 inch Heavy T Bar CURB style Silver plated tone Chain. 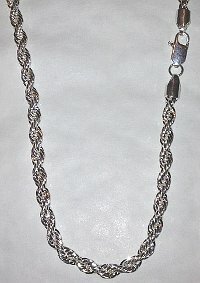 Neck Chain SILVER finish metal with T bar. 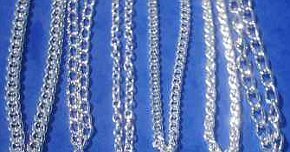 6 x Assorted SILVER tone Heavy 24inch length Chains. Pack of 6 assorted styles SILVER 610mm (24in) various design links chains. (Pack of 6). Crucifix Pendant in Gold tone finish with matching 460mm long Necklace Chain. Silver colour Cross Crucifix Pendant with 460mm length matching Chain. 20inch Gold bonded Box Chain with quality trigger clasp. 510mm length x 3mm wide heavy box necklace or Pendant Chain Unisex. 24inch Large open link Gold tone finish textured (Rope design detail in solid curb links) CURB Neck Chain, approx. 12mm wide massive chunky links. Massive 30inch (760mm) long BLING style wide Silver plated tone Rope Chain. Extra Large 5mm gauge width Rope heavy neck chain with large trigger clasp. 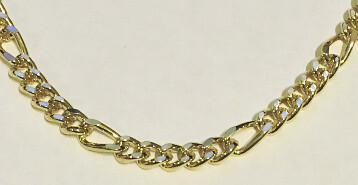 T Bar Gold tone Large Curb link Chain. 510mm length Curb style Chain, wide Curb design link Fashion Neck Chains. Gold plated colour Large Heavy T-Bar FIGARO chain 510mm approx length. 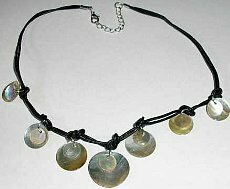 Genuine Shell discs corded Designer Necklaces with real large shell pieces. Pack of 6. Multi coloured springs snake style chains necklace with five strands. 390mm multi strand metal coiled spring style snakes designer necklet. Organics raffia and wood beads necklace, multi strand raffia pendant with wooden beads. 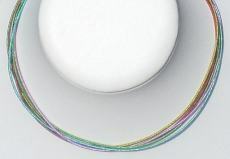 (Pack of 3 necklaces). 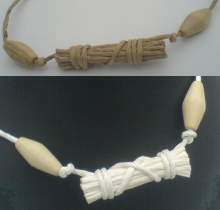 Wood toggle style clasp with raffia natural urban boho style necklets. Silicone rubber necklace 410mm pendant chain or elegant black silicone cord necklace. Push together in line metal clasp. 460mm (18 inch) Black Silicone quality Necklace Cord with metal in-line push together neckace clasp. Pack of 6 x Black Cord Necklaces or Pendant Cords 460mm length. 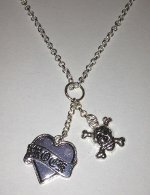 Silver tone colour 460mm Necklace with ROCK Heart shaped Pendant and Skull and Crossbones Pendant attached.